Chital are a beautiful deer. They originated from India. They have been relocated to several countries throughout the world. Even though they are not pursued by the tiger and leopard here in Australia their instinct for survival and wariness is as strong as ever. 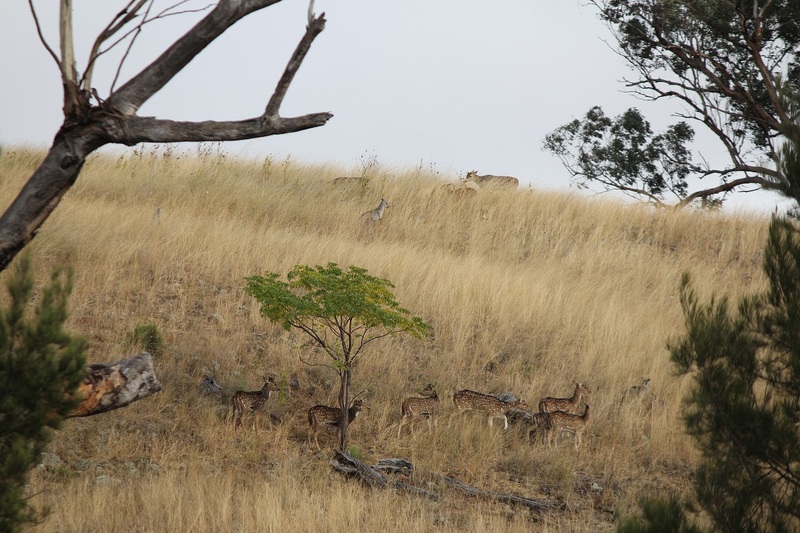 Its amazing to see how easily their spotted coat blends in with our dry grassland. This entry was posted on June 4, 2013 by gourmetandy in Photo Gallery and tagged australia, chital, Deer, gourmet, hunters, venison.